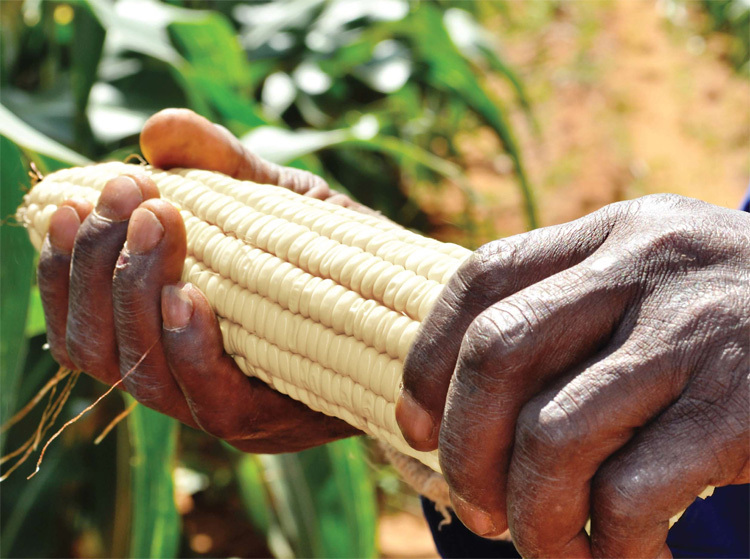 Monsanto focuses on the provision of new, yet affordable, hybrids for emerging subsistence and smallscale farmers. According to Jako Benadie, agriculturist at Monsanto SA, this market segment has been receiving a lot more focused attention in South Africa since 2015 to meet the needs of clients. In the 2016/2017 maize production season, eleven different white maize cultivars were planted at ten trial sites; including products from the “WEMA” stable. First, the yield potential of the new material was examined. Thereafter, the products were planted under a wide variety of conditions before data was collected and analysed. The team thus ensures that Monsanto provides hybrids to the market that meet the needs of the client. Under mentorship and with proper training regarding the use of Roundup Ready and YieldGard technology, some of the subsistence farmers experienced enormous benefits with above average yields over the past season. There is also a need for Monsanto's agriculturists to turn their attention to technical skills to align modern technology with basic cultivation practices and old machinery and equipment. Positive success has been observed where conservation practices were followed. Attention should also be given to newer, more modern plant types and genetics that do not necessarily correlate with the existing perception of high yield but which can produce extremely high yields. It is therefore important to emphasise true yield in tons/ha. The optimal conditions of the past season provide the Monsanto team with the opportunity to test all the hybrid traits against those of the previous growing season, which will ultimately benefit the emerging farmer.